Tao, which is usually translated as ‘the Way’, is one of the most important concepts in East Asia. The term ‘Taoism’ is associated with assorted naturalistic or mystical religions. Sometimes the term ‘Lao-Chuang Philosophy’ is used to distinguish the philosophical from the more religious Taoism. There are some differences between philosophical Taoism and religious Taoism. Their attitudes toward immorality, for instance, show some differences. While philosophical Taoism accepts death as a natural part of life, religious Taoism looks for ways to avoid death. What is the relationship between Heaven, Earth and human beings in Taoism? This denotes a primordial unity. It is firstly divided into two opposing yin and yang, which give rise to a mediating third force. From this trinity flows all existence (Kleeman, 2001: 62). In other words, human beings and all other beings are produced by Tao. In addition, all the things are the result of the integration of two basic vital forces of yin and yang in Taoism. Thus, all the things including heaven and earth as well as human beings must possess the elements of yin, yang and Tao. This means the life of all living beings is a oneness. It shows Taoism has an organismic worldview in which there is no such dualism as subject and object. As for yin and yang in Taoism, it penetrates all of life, for instance, heaven is yang, earth is yin; sun is yang, moon is yin; man is yang, woman is yin. Although yin and yang are opposite, there is no conflict between them. Instead, yin and yang coexist and interact. Moreover they generate chi (or ‘ki’ as pronounced in Korean and spelled as ‘qi’ in China) to establish harmony. Wu-wei is one of the most important concepts to understand Lao Tzu’s worldview. It focuses on natural harmony. The term of wu-wei is combination of wu (no) and wei (action) and in opposition to yu-wei (being-action). It is literally translated as ‘non-action’ but its proper meaning is ‘not acting willfully’ or ‘natural action’, which distinguishes it from ‘intensified action’ or ‘unnatural action’ (yu-wei) (Ames, 1989: 136). The term of wu-wei is often used in Tao Te Ching, twelve times in ten chapters (Xiaogan, 2001: 318). For instance, it is firstly used in the second chapter of Tao Te Ching, ‘Therefore the sage manages affairs without action (wu-wei) and spreads doctrines without words’ (Chan, 1963: 140). This chapter describes the style of the sage with wu-wei. According to Chuang Tzu, even though the ten thousand things are many, their order is one (Chan, 1963: 204). This ‘order’ is Tao, so we can interpret Tao as laws of nature or order of nature. It means Tao operates in the life of all living beings. The concept of wu-wei is following such order of nature. Lao Tzu literally says, ‘Tao invariably takes no action (wu-wei), and yet there is nothing left undone. If kings and barons can keep it, all things will transform spontaneously’ (Chan, 1963: 158). It shows wu-wei is a characteristic of Tao, and the human being has to practice wu-wei. Lao Tzu notes that wu-wei seems to do nothing, but it would get a better result. The wisdom of wu-wei negates pushing by fashion but instead embodies the natural harmony among human societies and also between humans and nature. In addition, Lao Tzu says, ‘He who takes an action fails. He who grasps things loses them. For this reason the sage takes no action and therefore does not fail …. He (sage) supports all things in their natural state but does not take any action (Chan, 1963: 170). The last sentence describes wu-wei supporting all things in their natural development, which indicates the harmonious relationship of all life in the universe. This is the essence of naturalness and the ideal of Lao Tzu’s worldview (Xiaogan, 2001: 328). Harmony is the cardinal concept of Asian worldview as well as communication (Chen, 2006: 298). The Scripture of Great Peace (Taiping jing) is one of the most important Taoist texts. 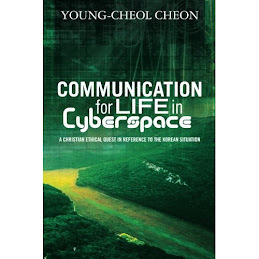 The text contains a wealth of information about communication between Heaven, Earth, and humanity. In the Scripture of Great Peace, ‘Central Harmony’ (zhonghe) is an important concept as the proper means to preserve and circulate harmonious communication between Heaven, Earth and human beings (Lai, 2001: 100). For instance, the lack of mutual communication between three elements causes cosmic disorder. But if there is mutual communication between them, the era of Great Peace will come (Lai, 2001: 103). In other words, the chi of Central Harmony is leading the yin chi and yang chi into united harmony and also it is establishing “reciprocal communication” (xiangtong) between them. As a result, the chi of Central Harmony brings about the dynamic balance and spontaneous growth of nature (Lai, 2001: 102). For humans, they stand in the central position to conduct the chi of Central Harmony. Thus, humans have a mission to maintain harmonious communication with Heaven and Earth in order to bring about Great Harmony and Great Peace (Lai, 2001: 104). Although Heaven and Earth cannot communicate directly with humans through words like a person, in the Scripture of Great Peace, they have two indirect ways of conveying their will. The first one is implicit through destructive omens and catastrophes, and the second one is explicit through constructive sages whom they send to the world to instruct people (Lai, 2001: 98). Lao Tzu says all things exist because they have names. For instance, a tree exists because it has the name ‘tree’. In other words, there was Nameless in the world. But names make distinctions between all things. For this reason, Lao Tzu notes the Named is the basis of all things. In addition, Lao Tzu says, ‘The name that can be named is not the eternal name’. In other words, the definition is required to understand the concept. But the definition could not capture the fundamental meaning of the concept. It is only a way to understand the concept. The definition would be changed depending on its situation. Thus, according to Lao Tzu, the name (concept) that can be named (fixed by a definition) is a dead name. For instance, regarding the definition of the concept of life, if life is defined or fixed, the fundamental meaning of life would be lost. A defined understanding of life is only temporal and one aspect in one moment. Furthermore, Lao Tzu says, ‘The Tao that can be told of is not the eternal Tao’. This means the genuine Tao cannot be captured through language because of limits of language. Only a part of the genuine Tao can be reached through language. The genuine Tao, thus, can be captured in a way that is beyond language (Mou, 2000: 430). According to Chuang Tzu, ‘saying (language) has never had norms’ (Graham, 2001: 57). In other words, language has never been a fixed concept by definition. Taoism, thus, has the deconstructive view. It negates and deconstructs everything and also negates language. But it does not negate ‘eternal name’ but the definition of name. In other words, it deconstructs the form of language to reach the fundamental meaning. These concepts of language in Taoism can be explained with ‘signified’ and ‘signifier’ of Saussure’s (1857-1913) Semiotics. For instance, Taoism negates the signifier because it has limit. The genuine signified cannot be captured by signifier. For Taoism, language means the signifier to reach the signified. Taoism, thus, focuses more on signified than signifier. In other words, Taoism continually deconstructs signifier to reach the genuine signified. The idea of negation of Taoism is echoed in Jacques Derrida’s (1930-2004) notion of ‘deconstruction’. In his book, ‘Of Grammatology’, Derrida maintains that conceptuality and problematics of metaphysic must be deconstructed (Derrida, 1997: 68). He converts the meaning of ‘the presence of center’ into ‘the absence of center’. Although structuralists believe in the being of center as the truth or origin, Derrida notes it is impossible to get a fixed truth. In other words, signified can not fixed by signifier. For this reason, Derrida tries to deconstruct the dualistic way of thinking in the West. This is similar to the negation of fixed definition in Taoism.